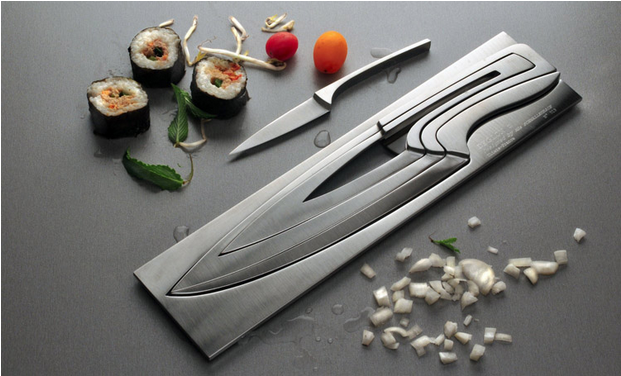 This is the first time I've come across knives that actually save space. The bigger knives are designed hollow, to allow the smaller ones to fit yet still functional, leading to easy and safe storage for them. I have yet to put our magnetic knife strip on the wall, and it's been almost 7 weeks since we moved. So far, all I've managed to do with my knives is clean them after use, and leave them out on the counter to eventually get stabbed by. But oh well, it'll get done someday. 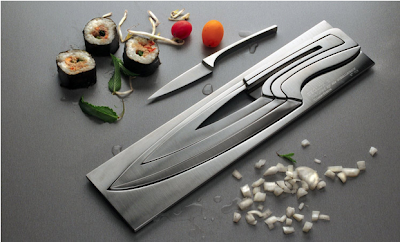 If I could splurge on knives, I would definitely go with these, especially since the design is so modern and I have a soft spot for things that nest together.